To say Star Wars: The Last Jedi has seen a mixed reception from fans would be a massive understatement. Flame wars in comments sections continue to be waged a week after release, as many argue whether Rian Johnson made the best or worst Star Wars movie, with no reasonable attempt to meet in the middle. But even though the original trilogy has since been ranked on sites such as Rotten Tomatoes, they originally released in theaters at a time when the Internet didn't exist for public use. So it's easy to forget how fans reacted to another one of the most shocking entries in the franchise, The Empire Strikes Back. Sci-fi magazine Starlog was one of the popular sources for geek news back in the '80s, with many fans writing in their thoughts much like they'd post on social media nowadays. Website A Critical Hit recently compiled some responses to The Empire Strikes Back in the pages of Starlog, giving us an idea of how fans reacted to what is widely regarded the best film in the saga to date. I liked it. I really did. I just didn’t like it enough. Just about every other critic in the country has been telling you how good the picture is; they’ve been falling over themselves to tell you. It’s embarrassing. I feel guilty for not liking it as much as I’m supposed to. All in all, it sounds like The Last Jedi is getting similar treatment that The Empire Strikes Back received all those years ago, only amplified by the presence of the Internet. Time will tell where it lands in the saga's "Best Of" rankings. 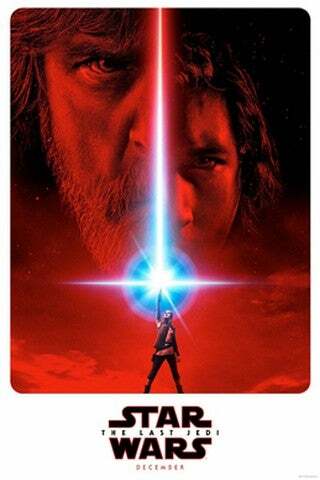 Star Wars: The Last Jedi is now playing in theaters.